Sustainable gardens promote water conservation, enhance biodiversity, and create habitats for insects and animals. Professional garden designers can highlight a garden’s sustainability without reducing its aesthetic appeal, which is a concern for most garden owners. More and more, owners and designers are seeking out sustainable elements to achieve long-term benefits on energy and water expenditure. Sustainable garden design hinges on the proper use and conservation of water. 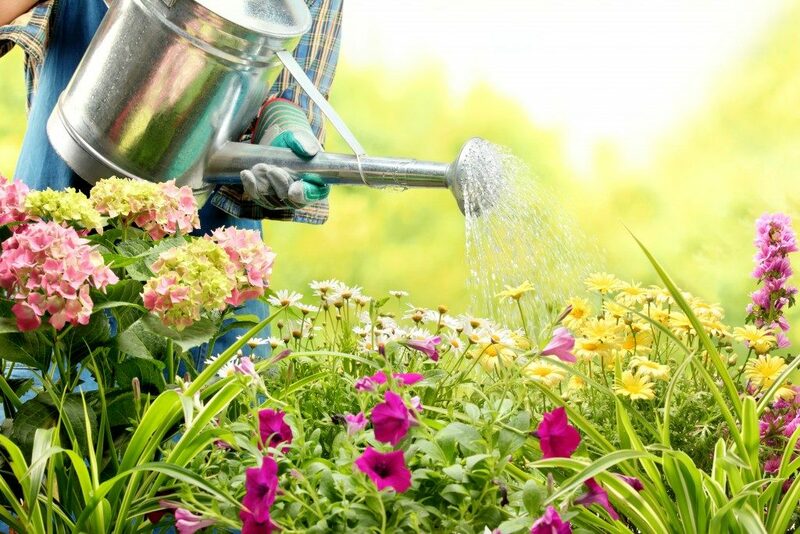 Overwatering drowns plants and wastes water. This can be prevented by grouping plants with similar water requirements together and choosing plants with lower water needs. 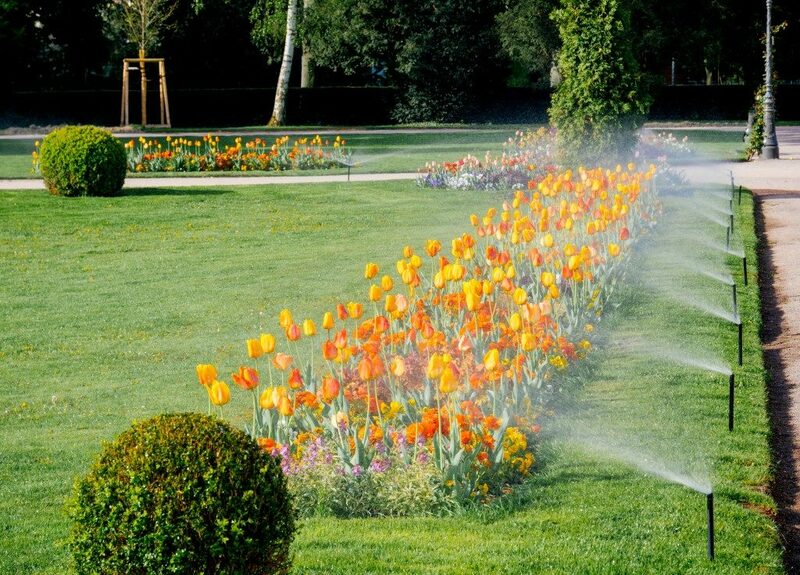 A larger lawn space involves more watering. A reduced amount of lawn space and the installation of an efficient rainwater collection system promote better water conservation practices. The early stages of garden design should include planning for rainwater collection and storage. Before construction begins, additional analyses should determine the specific uses that the stored rainwater will provide. A simple way to drain water from roofs and canopies is through the use of rain chains or gutter downspouts. These systems can lead to the ground level or to an underground tank system for storage. When it flows to the ground, the water should lead directly to a flower bed or rain garden to satisfy the watering needs of plants. Problems from extended periods of drought can be mitigated by growing the right plants in the right places. Moisture loss from evaporation can be reduced by mulching planting beds. This process involves covering the ground around plants with materials like straw, compost, chipped barking, and other decorative aggregates. Garden designs promote biodiversity with plants that are both productive and wildlife-friendly. This entails the selection of plants that are resistant to drought and grown in the right climate. Including native and local plants in the garden is a simple and effective way to reduce water use and contribute to wildlife preservation. In contrast, invasive plant species like cotoneaster and vinca major can colonise habitats and harm the growth of other plants if included in a garden. Another important aspect of garden design is habitat creation. Insects, birds, and reptiles can provide pest control and aid in the process of pollination. This can only occur if they are provided with a suitable wildlife habitat for resting, nesting, and finding food in a garden. They can reduce the need for pesticides and other chemical control agents. Gardens should include areas suitable for habitation as these creatures may need leaves, native plants, and a source of water. Hardscapes refer to the man-made features of landscape architecture. They include the paths, driveways, patios, and retaining walls of a garden. When designed to allow for recycling and made with environmentally friendly materials, they promote efficient drainage, eliminate toxic chemicals, and reduce harm to the environment. Organic mulching and composting processes can nurture plants and reduce the need for pesticides. They also help lessen the carbon footprint, save on labour time, and reduce financial costs. Ecological practices in the planning, design, construction, and cultivation of a garden contribute to sustainability efforts.